MUSICAL MEMORIES Frobeck’s new album honors the band’s late drummer, Jonathan Lazarus. For Spencer Burrows and Kris Dilbeck, Frobeck are family. The longtime friends and principle songwriters of the Sonoma County band are celebrating a decade of making larger-than-life music in the vein of funk and R&B bands like Tower of Power and Sly & the Family Stone. While the band may possess a slightly throwback sound, they are living in the here-and-now, with 2015 shaping up to be one of their best years yet. Bohemian's annual NorBay Music Award in the "Rock" category, and this weekend, the band unveils their new album, Sea of Truth, with a blowout record-release show on Oct. 24 at HopMonk in Novato. The band began as a quartet, with keyboardist and vocalist Burrows co-writing original songs with guitarist Dilbeck. Over time, the group's sound expanded, and about five years ago, Burrows says the band honed its focus. "We asked ourselves, 'What could we add to the band?'" says Burrows. "We grew up listening to Sons of Champlin, stuff like that, so we said, 'Let's add some horns.'" In fact, Frobeck added three horns, courtesy of Alex Scammon, Alex Garcia and Cayce Carnahan, as well as the powerful pipes of vocalist Callie Watts. All was looking up until the band lost founding drummer Jonathan Lazarus to suicide in 2013. "It was a huge loss," says Burrows. "We were all so taken aback by it." Frobeck's Sea of Truth, their first album since the drummer's death, is dedicated to the memory of Lazarus, who the band calls their fallen brother. The title of the record sums up Burrows' reflections in the aftermath of that loss. "The 'sea of truth' is this idea that the truth is a vast, huge thing, much bigger than us, and it can either be a beautiful thing or it can be tragic," says Burrows. Despite its heavy undertones, the album is anything but somber, as Frobeck bursts out of their past for a robust, upbeat and vivacious collection of songs. Now eight members strong, Burrows says the band is moving forward and stronger than ever, musically and emotionally. Frobeck's newest members, bassist Ben Burleigh and drummer Paul Spina, are both monster musicians, says Burrows. And last year, the band celebrated as Watts and Dilbeck tied the knot. "It always feels special when we play together," says Burrows. "This band is the best thing I've ever done, and I know Kris would say the same." 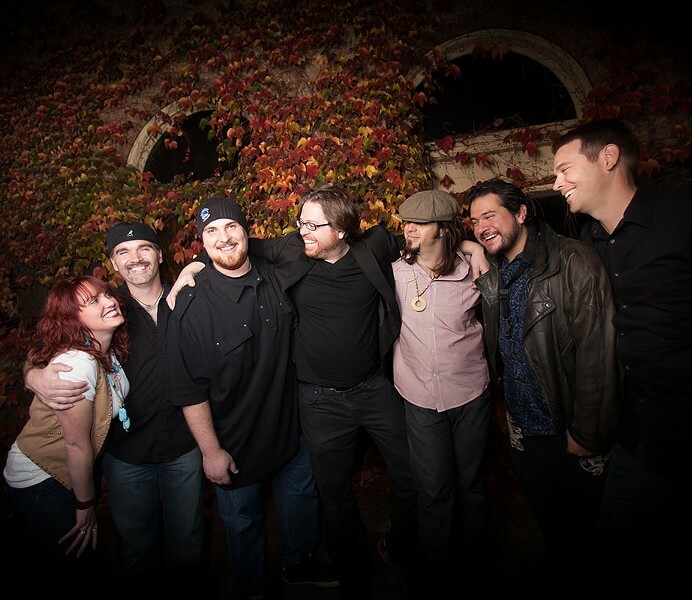 Frobeck get their groove going and play Sea of Truth in its entirety on Saturday, Oct. 24 at HopMonk Tavern, 224 Vintage Way, Novato. Singer-songwriter Erin Honeywell opens. 8pm. $10. 415.892.6200.